Before it all came crashing down like a house of cards in 2015, Bill Cosby was a man who built a house that touched the sun. He was one of the most successful comedians to ever live, a fact that transversed racial lines. From stand up, to Television to film, Cosby did it all and he was great at it. At the twilight of his career, he could boast of 70 honorary degrees from several institutions across America and the world. He was not just successful, he became a success. With the recent imprisonment of the comedian as a sexual predator, it is important to take a look at the life of the man and the magnitude of his career. Bill Cosby has been rich and famous for so long, it might be difficult to imagine a time he was poor, but that was the beginning of his life. He was born to William Henry Cosby Sr. and Anna Pearl on July 12, 1937, as William Henry Cosby Jr. Though his father worked as a mess steward for the United States Navy and his mother was a maid, the large family that consisted of four sons made their economic reality a challenging one. Nevertheless, Cosby was put through school where he began to show the exceptionalism that would define his life. He was a class president and captain of the baseball and track teams at his high school, Mary Channing Wister Public School. Despite an obvious possession of intelligence which was further proved by an IQ test that got him placed him in a gifted school, Cosby struggled academically, choosing instead to laze around and make jokes. His struggle with formal education made him drop out and enlist in the Navy instead. At the Navy in 1956, Cosby served as a hospital corpsman at Navy bases in America and Canada. With correspondence courses, Cosby managed to complete and earn his high school diploma and due to his track record as a good athlete, he was awarded a track and field scholarship to Temple University in 1961. He majored in Physical Education. Cosby’s innate ability to make people laugh became more apparent while he was at Temple University and soon saw him taking a break from the University to pursue a career in stand-up comedy. Thus began the enormous career of Bill Cosby. He was able to secure gigs in various clubs in Philadelphia and New York City, including at the famous The Gaslight Café. He went on to perform in various other major cities in the country. In 1963, Cosby gained national prominence through NBC’s The Tonight Show. His appearance on the show led to a recording contract with Warner Bros Records which helped him produce a number of comedy albums, one of which was “To Russell, My Brother, Whom I Slept With”. It has been named in the Top 40 greatest comedy albums of all time. Cosby’s tendency of avoiding race in his comedy routines helped him build an audience that cut across white and black people in America. His concert film, Bill Cosby: Himself is regarded as the greatest comedy concert film ever and other prominent comics like Jerry Seinfeld, Larry Wilmore have credited Cosby’s stand-up comedy formula for creating the road to their own success. His career as a comedian spanned across film and television, the comedian’s appearance in I Spy in 1965 made him the first African American to star in a weekly dramatic TV series. Despite the initial controversy that surrounded the casting choice, Cosby ended up earning three consecutive Emmy Awards as a lead actor on the show. The show was also commercially successful. Since his first move into on-screen comedy performances in both film and television, Cosby has appeared in over 20 films and over 25 television shows including The Cosby Show and Fat Albert and the Cosby Kids. Bill Cosby’s diverse successful entertainment projects and his talents helped him become the highest paid entertainer on the planet at some point in his life. 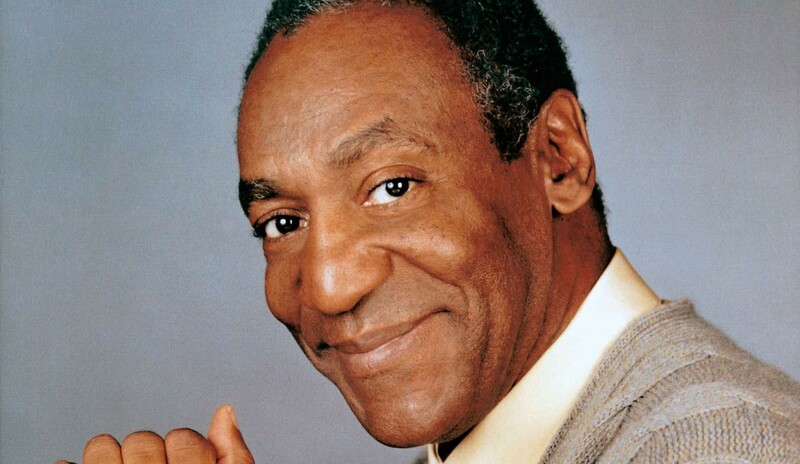 Before his legal problems began, Cosby was reportedly worth $400 million. Due to his recent conviction and potential civil suits, he’s likely to lose it all or most of it. Before he was revealed to be a sexual predator, Cosby lived a seemingly normal American family life married to Camille Hanks. The couple got married in 1964 and had five children. They gave birth to four daughters and one son, who was murdered in 1997. His third daughter, Ensa also died in 2018 of renal disease. His living children are Erika, Erinn, and Evin. He has three grandchildren.